Big Santa Anita Loop - Beyond Limits on Foot! We got a Sunday start time of 11:00 am. We preferably would have come earlier since the parking was so terrible and we parked at least 3/4 of a mile away, which obviously made this hike a little longer than we expected. This was not a problem because we wanted to do a longer, training hike. The day was beginning to heat up, but never got too hot, which was nice. From Chantry Flat (where you get your parking pass: $5.00) it took about 30-40 minutes to get to Sturtevant Falls on Gabrielino. The way was very scenic with the skinny tall trees and all the small little cottages that we passed by. After eating a snack on the rocks by the stream flowing from the falls, we headed on back towards a junction and took the way up to see the falls from above. We proceeded on and saw a ton of little waterfalls, a lot of hand-made ones, but there were also natural ones. After some climbing up we took a break at a campsite area with fire pits (Spruce Camground). Got to remember if we do this hike next time to bring something to make on the fire for a break (sausage, hot dog, etc.). We found that this part of the hike didn’t have as many people as on the Sturtevant Falls portion of the hike. It was really nice to finally be alone in the wilderness, with an occasional hello to those passing by. After heading out of Spruce Campground instead of heading towards Mt. Wilson, we headed towards Mt. Zion Summit (3,575 feet). On this part of the hike we were surprised to notice that it was uphill for about half a mile, expecting the complete opposite, though enjoyable and in the shade. We hit the top and took a little detour to overlook the valley and see a 360 degree view. After some quick shots we headed down and kept go on the hike until we hit the decision making part of the hike. Either go on the Upper Winter Creek Trail or the Lower Winter Creek Trail. Lower Winter Creek meant uphill at the end of the journey, Upper Winter Creek meant a little more uphill, longer than Lower Winter Creek, but the end would be a relaxing downhill. 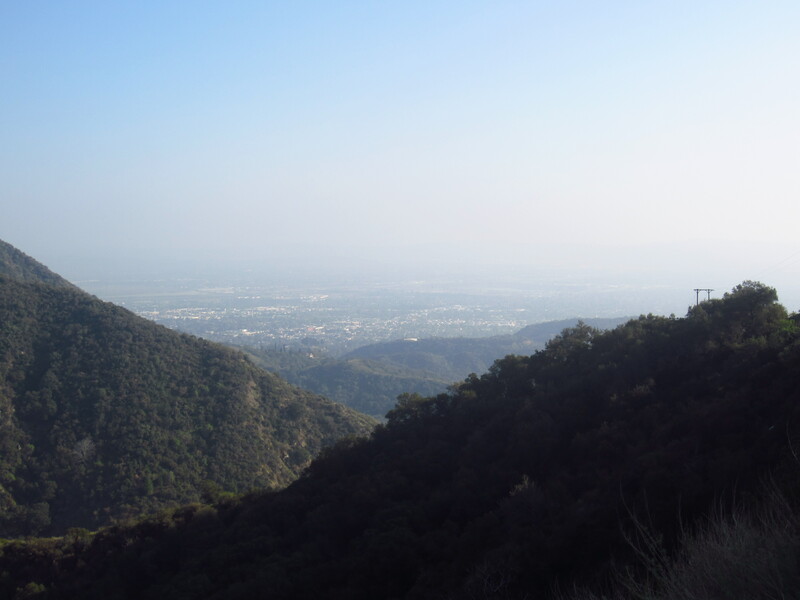 We took the Upper Winter Creek Trail, which at this point was only 3 miles away from Chantry Flats. Once we finally saw the parking lot, it was downhill from there. At the end of the trip you can go have a hamburger and some other enjoyable foods at the Pack Station or just grab a gatorade to refeul on your way back to the car. Note to self: Bring more water and make sure to bring something to make on the fire instead of just a sandwich. Get to the Chantry Flats Ranger Station super early in the morning to avoid an extra mile walk because of having to park way down the hill. If you would like to read more about the area click here.